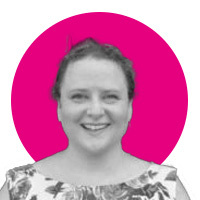 Rachel is a technologist who has worked in Engineering, Futurology, Product Management and Marketing for organisations such as IBM, British Telecom, Foundry.com, Siemens PLM, ARM, Citrix and NVIDIA. Starting her career spending 8 years working on Siemens PLM Parasolid modelling kernel before diversifying into Cloud and GPU technologies. Rachel holds a Masters in Physics and Electron Microscopy and a PhD in Astrophysics specializing in Electromagnetic Field Simulation and Image Processing from Cambridge University. Digital magazine and email newsletter subscriptions are available free. Print subscriptions are free to UK readers and cost $59 per annum for Rest of World.